<b>Mountain Views</b> at this semi-private location of Mountain View Parkway just off of the Dawson exit. The large open Kitchen, Dining and Living area offers lots of space. Master bedroom and bath on one end and 2 additional bedrooms and a bath complete this well maintained home. Multiple out buildings and large 24'x40' detached metal garage with 2 garage doors and perfect for a workshop! 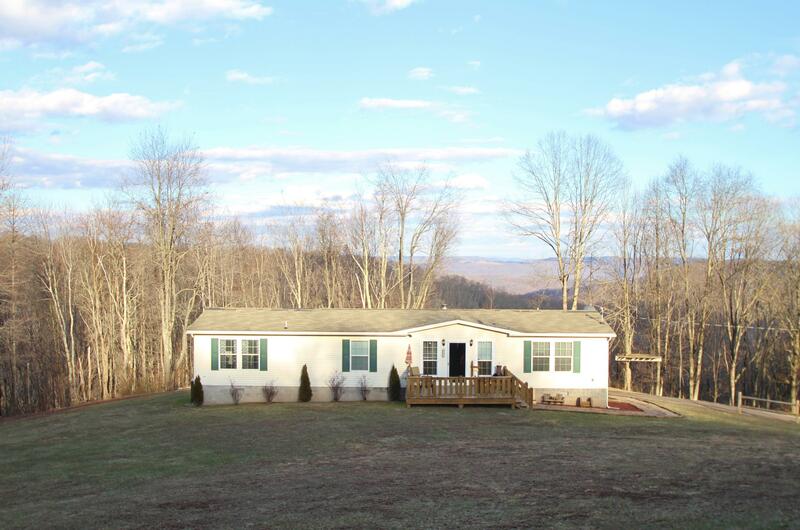 Situated on 12.5 +/- acres with beautiful mountain views from the back.